Traveling has always been my greatest passion. I took my first trip when I was just 1 year old, to a place more than 3000 kilometers from home. Since then, over the years, traveling became as important to me as the air I breathe. However, I experienced my first doubts about the greatness of traveling when I was a teenager. I had always dreamt of visiting the tower of Pisa in Italy, but when I finally arrived there, I was shocked. The streets of the old town were so full of garbage that it was difficult to even pass through. There were hordes of people that were continually throwing more and more garbage on the ground and all I could think was, what was the point of traveling to such a beautiful place to just convert it into a mountain of trash?! Today, after having worked in tourism and hospitality for over 10 years, I am still struggling to find the right place for myself in this industry. On the one hand, I adore the concept of discovering new lands and helping others to travel more. But on the other hand, I can see that traveling doesn’t always have positive effects. Mass tourism can destroy nature and deprive the local communities of the many benefits they deserve. This leads me to the conclusion that the only fair way of traveling is through responsible tourism, and we should try our best to be ‘responsible travelers’ and/or ‘responsible tourism specialists’. AITR, Italian Association for Responsible Tourism defines this type of tourism as: “Responsible tourism is tourism that is carried out according to principles of social and economic justice and with full respect toward the environment and cultures.” Responsible tourism principles extend to several fields: environment, economy, society and culture. It means taking care of nature and the environment, respecting local society and its traditions, taking into account cultural differences and contributing to destinations’ economic growth. The last aspect is very often misunderstood. For instance, all-inclusive resorts are very cheap and carefree options for a vacation, but they are mostly owned by international corporations and bring no benefit to local communities, and very often cause a lot of harm to both regional environment and economy. In most cases, it’s quite easy to recognize irresponsible tourism. Some popular tourism ideas just go against common sense and ethics. Engaging in activities which support the abuse and exploitation of children and animals, prostitution, and the disrespect of local customs are all obviously not forms of responsible tourism. However, at times, it might be a bit hard to identify whether our actions are responsible or not. “The easy question to ask is – would you be comfortable with someone doing this in your home? Because responsible tourism recognises that, first and foremost, when you travel, you are entering someone’s home.” (Catherine Mack). So, would we like others to treat us the same way we treat them? It seems that somewhere in the process of social evolution, we lost our common sense. So often, we treat animals and other people as objects for our own entertainment. We want captive dolphins to amuse us with high jumps and funny dances. We attack exotic looking native people with cameras because we just need that cool selfie for our next social media post. It has become so normal that it doesn’t even enter our mind as to how impolite or unethical our behavior might be. But, if we were to stop for a second and think, it becomes obvious that something is definitely wrong. Many years ago, I was also that girl riding an elephant in India because that was what all tourists did. It took me one hour of watching a behind-the-scenes documentary about the animal industry to be able to change my perspective forever. “There are no bad travelers, only ill-informed travelers exist.” (AITR). Sometimes, we just need a hint or a reminder to be able to make things right again. 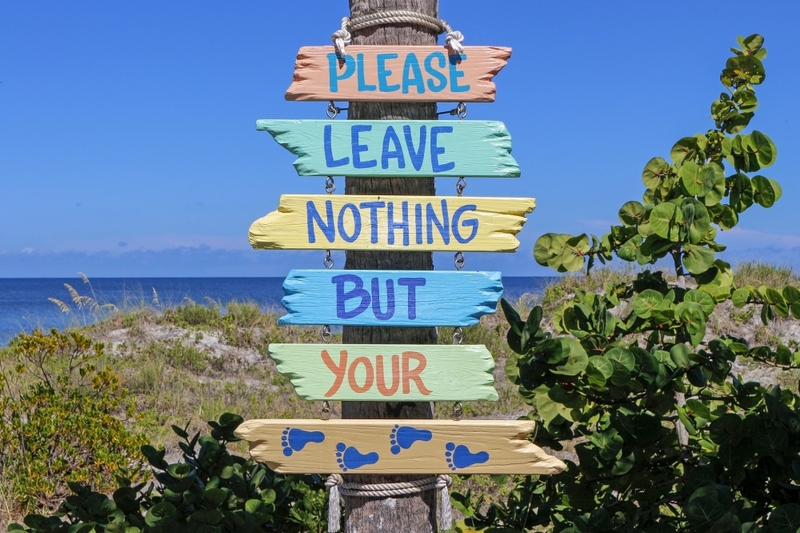 Many people might think of responsible tourism as something very inconvenient and annoying. “Holiday is our time to escape the stresses of everyday life, and no one wants to be made feel guilty about travel or think of themselves as an irresponsible tourist.” (Catherine Mack). But, being responsible is not that hard, and it is much more exciting and fulfilling than being irresponsible. For example, a cruise trip is a convenient form of traveling with low cost, but it has no cultural value. Cruise ships are exactly the same in any corner of the world. Staying at a local villa, trying a home-made food, participating in regional festivals, buying hand-made souvenirs, making friends with locals, trying to speak new foreign language – this is what makes our holidays unforgettable and truly amazing. Responsible tourism not only helps destinations to preserve their cultural and environmental heritage; it helps us (travelers) to interact with the world in the most friendly, respectful and exciting way. Do your homework before your trip – find out as much information about your destination as possible. Get to know the local history, traditions, cultural norms, taboos. Become aware of social, political and environmental problems. Being well-informed will help you to make responsible choices once your vacation begins. When possible, consider cycling and walking instead of driving a car. Try sailing, kayaking or paddling as an alternative to motorized watersports. Even one time will help reduce air pollution. Besides, slow travel allows you to create a deeper connection with visited areas and discover many hidden attractions. Check Rio de Janeiro cycling trails here. Stay at local guesthouses and villas instead of international hotel chains, especially while visiting small towns in the state of Rio de Janeiro. In addition to benefiting the local economy, you will get a great opportunity to interact with the locals. Often, the owners live at the holiday property, and even if you don’t speak the same language, they will win your heart with their sincere hospitality. (Remember, Rio can be dangerous, so choose your accommodation carefully. Read reviews from reliable sources before booking.) Hidden Pousadas is a good site to look for pousadas in Brazil. Buy at local street markets and from street vendors. It’s enough to spend half an hour at Copacabana beach to understand how hard the life of a street vendor is. Imagine walking back and forth under the burning sun 10 hours per day with 20 kilograms’ weight on your back! Consider buying your beach drinks from street vendors instead of bringing them with you from a supermarket or visiting a pricey bar across the street. Visit local street markets to buy your fruit, vegetables, crafts and souvenirs. Keep an eye on street artists’ works – some of them are true masterpieces! Find information on organic farmers’ markets here. When shopping, prepare to fight against plastic bags. If you buy ten items in a grocery shop, you will receive at least four or five plastic bags. In the supermarket, there is a dedicated person in front of each cash register whose only job is to wrap each item into a separate plastic bag. Be insistent, buy or bring your own recycled bag and don’t let the cashier assistant push you to use the plastic bags. One more thing to keep in mind is that the tap water is not drinkable in Rio. According to the law, you can ask for free filtered water (água filtrada) in each restaurant or café. If possible, stay at places that have a water filter, so you don’t need to buy dozens of plastic bottles every week. Plastic pollution is a serious problem in Brazil, but unfortunately, neither the local government nor society wants to recognize it. To give an example of the seriousness of the matter, I include an article about the impact of plastic pollution on marine life. Sadly, In Rio most of the buildings don’t separate trash. Don’t get discouraged; you can still contribute and make the waste ground workers’ life easier by placing different waste types into separate plastic bags. Then later they won’t have to sort each plastic bag’s content manually. If you are curious what a landfill workers’ life is like and how it is possible to transform trash into art, check a British-Brazilian documentary “Waste Land” filmed in the world’s largest landfill in the state of Rio. If you are deeply concerned about the environment, avoid traveling to popular beach resorts in the state of Rio during long weekends and bank holidays. You won’t enjoy it at all. It’s the time when everyone is traveling, so you will find even half-wild beaches loaded with locals and trash that almost everyone just leaves on the ground in great amounts. You can always find an alternative – just do the opposite of what the crowds do. Go to the mountains when everyone is on the beach and vice versa. Slum tourism has become extremely popular in Brazil. When we see what living in a favela (Brazilian slum) is like, we start to appreciate much more what we have. But is favela tourism always as positive as it might seem at the first sight? How do you think the slum’s residents feel when a bunch of tourists drives to their home in a safari jeep and starts taking photos of them and their children? I asked this question once, and the answer was something like this: “I would feel like a zebra or some other exotic animal in a zoo”. Probably we can find a way to make others feel better while we are exploring their home neighborhoods. Book favela tours organized by its residents who have lived in the community all their life. (Of course, choose only trustworthy official tour organizers.) Local guides will show you the real picture of the community life and explain how to take photos without offending the locals. They also know about the current safety situation and the best time to take a tour. After you leave, your tour guides will donate a part of what you paid to the improvement of life conditions in the slum. By buying local souvenirs, snacks and drinks, you are also benefiting the community. In this way, all the money you spend during your excursion goes to favela’s residents and not to wealthy travel agencies. To visit Santa Marta favela, book a tour organized by its local resident and social activist Thiago Firmino. For cooking classes at Cantagalo favela with Tia Maria, a mother of 27 adopted children, and volunteering opportunities in other slums, contact Caminhos Language Centre. If you feel like taking responsible tourism ideas as your core values, choose responsible travel operators for all holiday. Beware of greenwashing (when a company, government or other group promotes green-based environmental initiatives or images but actually operates in a way that is damaging to the environment or in an opposite manner to the goal of the announced initiatives. Source: Investopedia). Double check all the information and don’t just choose anything that is called “green”, “eco”, “natural” and “authentic”. 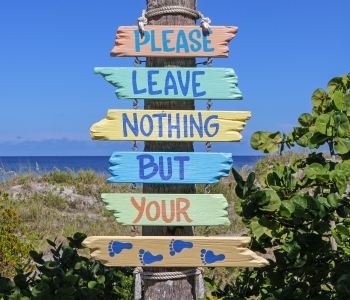 Some options of responsible destinations can be found on the web of European Alliance of Responsible Tourism and Hospitality and on Responsible Travel site. And finally, share responsible tourism ideas. No one wants to bring harm to travel destinations on purpose. Most of the times, we do so just because we are unaware. Help Educate others, every message counts. Spread the word about the most exciting, friendly and fulfilling ways of traveling.